A Unique stone-barn estate is refurbished from 1806. Centuries have elapsed since the first Americans settled in Missouri, in the now-quiet countryside named for its indigenous women. 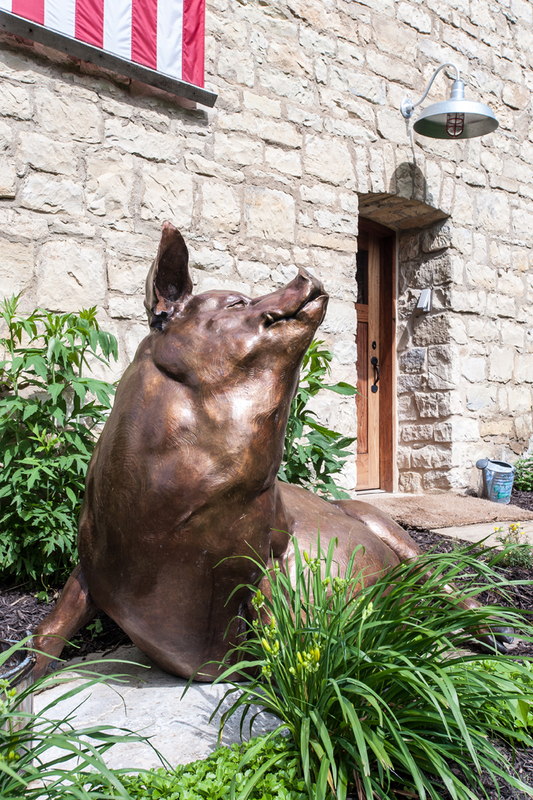 And, while time isn’t always kind to the people it touches, it guarded Bob Brinkmann’s dwelling, a unique stone estate connecting its inhabitants and other Osage Valley residents to their raucous, rugged and romantic pioneer past. Take the Daniel Boone Bridge across the Missouri – that rangy, forceful thing – to the place where highways 40 and 94 collide. Wind south, deep into river country, until you reach a venerable limestone structure tucked casually between groves of walnut trees, marked by a broad Osage orange tree – “You’d know it as a hedge apple,” says Brinkmann, guessing by the plant’s size it sprouted back when frontiersman Daniel Boone frequented the land once owned by his adopted son, Jonathan Bryan. Thanks to thoughtful renovations, the old gristmill is still a community hub. 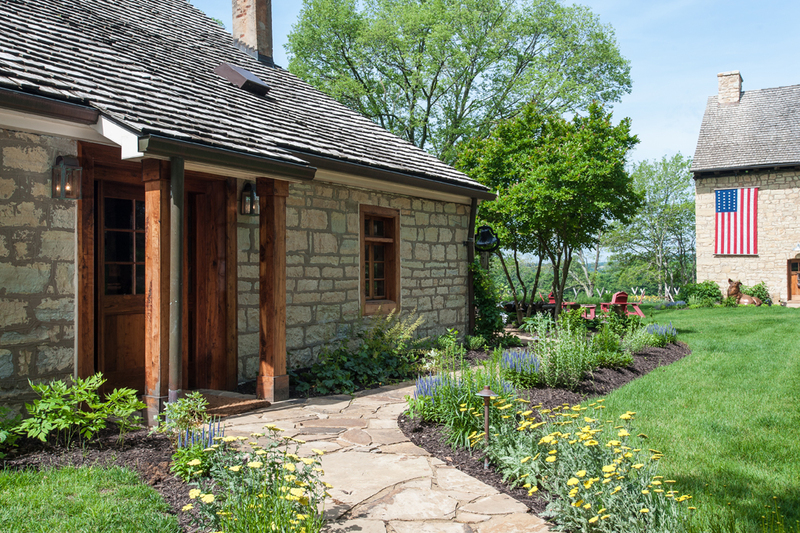 When Brinkmann and his wife purchased the Bryan property in the spring of 2012, they had their work cut out for them: “None of the columns in the barn touched the ground, it was a dirt floor that hadn’t been changed for 200 years, and there were no windows or doors in the main house – just openings,” recalls Brinkmann, CEO of Brinkmann Constructors. Brinkmann and his wife gutted the home, refurbishing it with period-savvy touches like handmade cabinetry and walnut flooring, doors and windows, apropos given the indigenous trees. 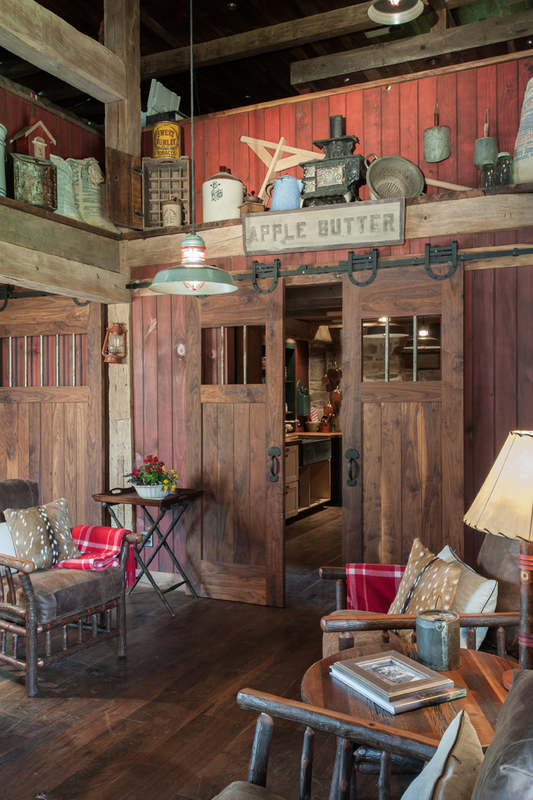 The décor is equally authentic: a commissioned painting depicts rural, midcentury life, and antiques like a settle dated to 1847 conjure the past. 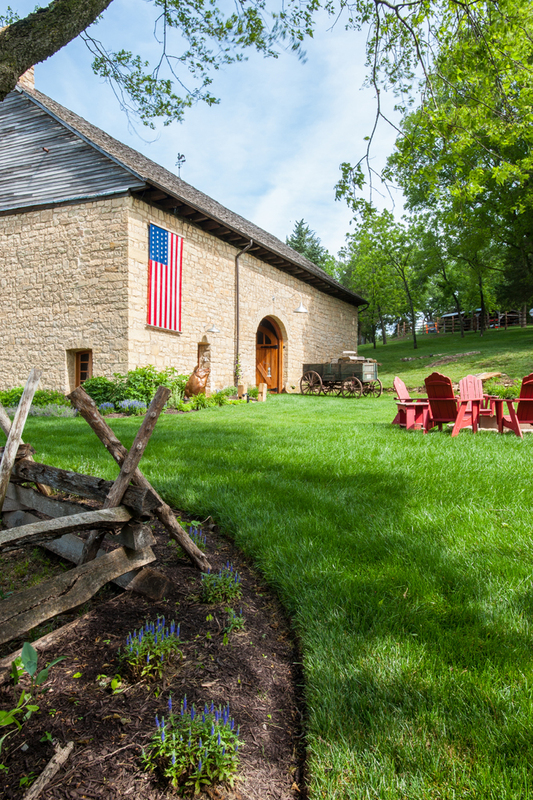 Outside, a John Deere wagon circa 1880 animates the barn, along with hoary feed sacks and an American flag displaying 26 stars.